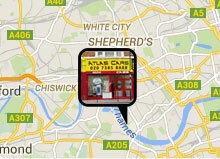 with Atlas Cars and unlock the new possiblities to expand your business. Please call 020 7385 8888 and ask for accounts department. We'll be happy to help.